This table features a 3/4 particleboard core w/ a high pressure laminate top. The Off-Set comfort style legs will allow your guests to sit all the way underneath the table. 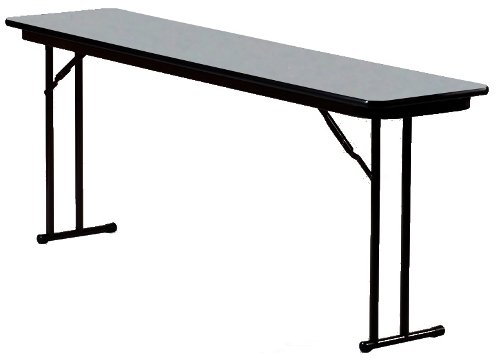 This table is perfect for corporate training sessions, lecture banquets, and any other classroom style setting. 5 Color Combinations to Choose from. Very comfortable underside w/ knife-lock mechanism.